Ready to take on the wildest bull in the South? Bring the rodeo to your next event with ABT's newest addition, a Galaxy Multirides Mechanical Bull - the world renowned mfg of bulls! Made for the riders safety in mind, our bull is great not only for adults, but children as well. With settings for "Green Horns" for children thru "cowboys" for the brave at heart, It is guaranteed to draw attention at your next event. Fabulous additon to Birthday Parties, School events, Church Festivals, Corporate picnics and College events. 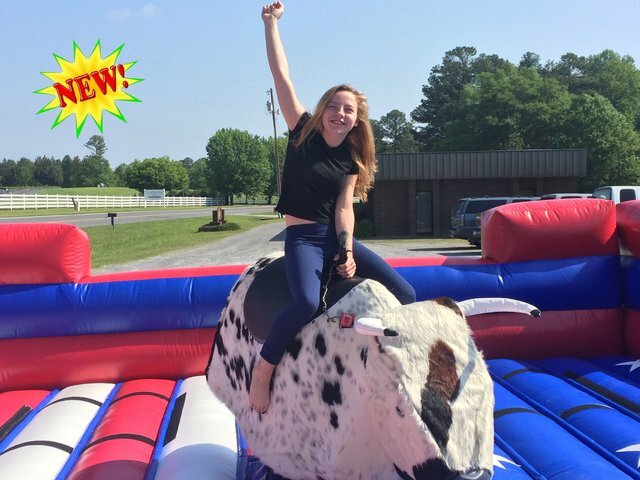 For the best Mechanical Bull Rental in Charlotte nc & surrounding areas. Give us a call! To ensure you the ultimate experience, your bull will come with 1-2 ABT Event leaders to run & supervise your event at no additional charge.